The A-Series has a black sprayed aluminum frame. 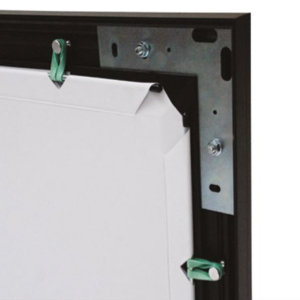 The Beamax A-Series fixed frame screens are an intelligent choice for rooms in which the screen must be permanently in sight. 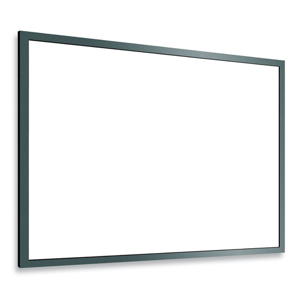 The aluminum frame is durable and surrounds the projected image. This border enhances the perceived contrast of the projected image. 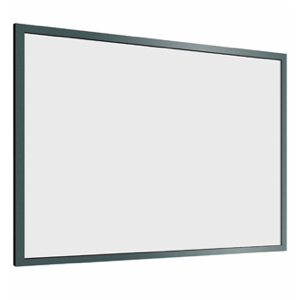 The unique feature of frame screens is of course the perfectly flat screen fabric obtained by the even tensioning of all 4 sides.